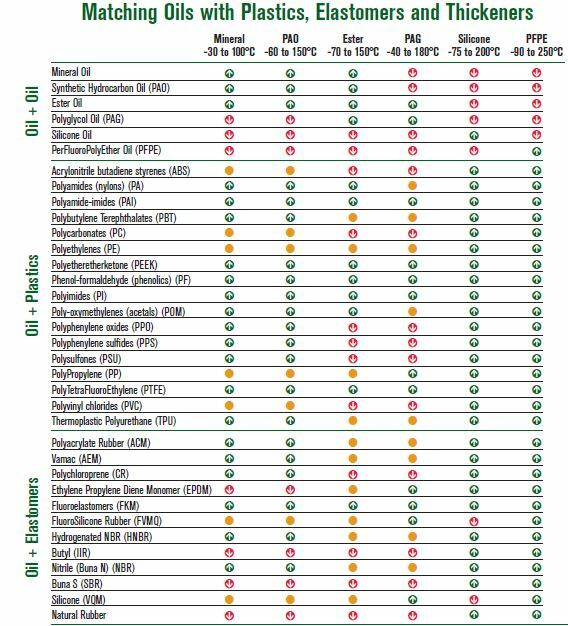 This is an extract from a table for matching various oils and grease with materials. The Elastomer section shows that the PFPE grease is the only one that is compatible (indicated by green arrow pointing up) with all elastomers listed. If you want to use only one grease for your O rings PFPE greases such as Christolube, Tribolube, Krytox, etc are the way to go. Housing has been converted to fibre optic strobe sync cords. Equipment to revert to electric sync cords included. I wish someone would make a "spring" clamp so you could press a lever to instantly open the clamp for removing and replacing the flash. Would make off camera flash much easier to do and then immediately replacing the flash without twirling the traditional clamp lever. #392858 Can you use Nauticam silicone on Sea&Sea blue o-ring? Thanks Gudge. Have you used any of these techniques? No, I only shoot stills but I do like to find solutions to intriguing problems. #381465 Who shares on Instagram? #378766 Any feed back on Glowdive strobe diffusers? Couldn't find it using Wetpixel's search function but Google came up with it. I've been using them for a while now and like them. #373330 Wee yellow things on wee black stuff. Usually done with wire but I have seen it done with a zip tie. 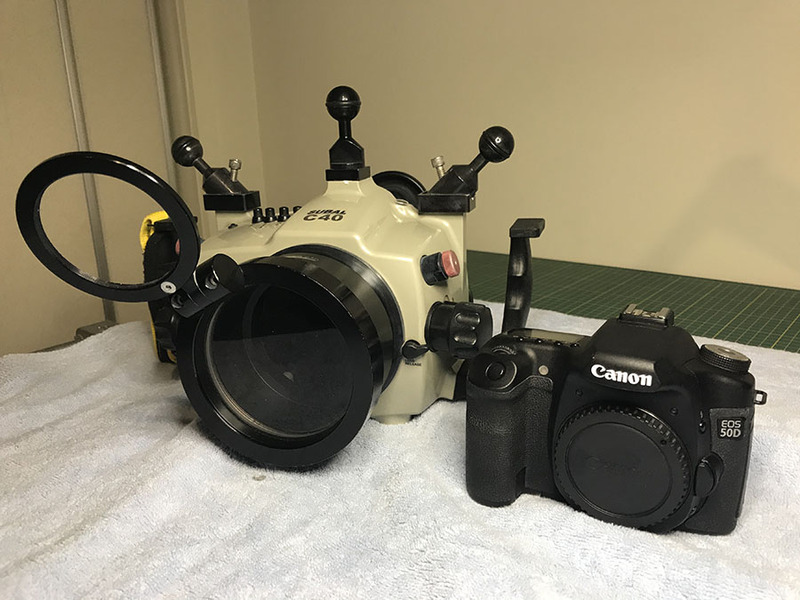 Yes, my NA-7DMKII housing is fitted with the Nauticam vacuum system. I had a third party vacuum system fitted to my old NA-7D housing before the Nauticam system became available. 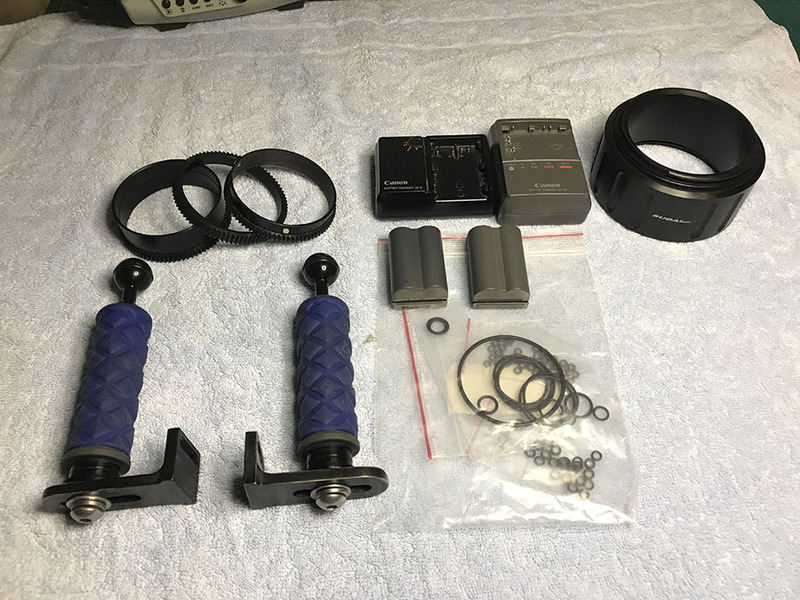 The Nauticam vacuum system is much better than the system fitted to the older housing, the Nauticam vacuum pump pulls the vacuum down much quicker, the vacuum can be released without having to reattach the pump and the warning light system gives a constant indication of the state of vacuum inside the housing. Happpiness is a nice green light shining on your housing. Images are coming in the next few days. 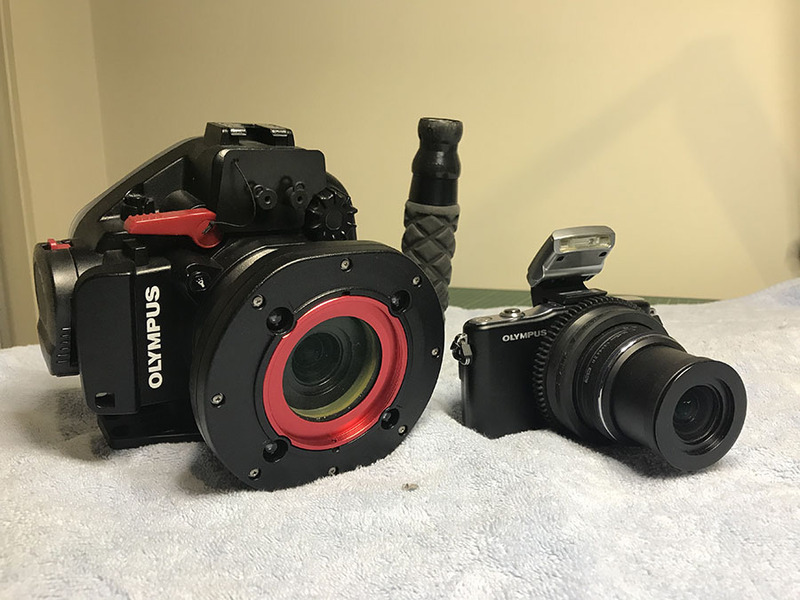 With the release of the Canon 7D MkII and Nauticam NA-7DMKII housing late last year I decided it was time to upgrade from my well used Canon 7D/Nauticam NA-7D to the new arrivals from Canon and Nauticam. Once again finding myself amongst the first take this combination underwater I thought I’d follow up my earlier review with my thoughts on the latest versions. I received the new rig just in time to take on a trip to Ambon over the Christmas/New Year period and have now done 30 dives with the combination. Custom Shooting Mode Display – I use custom shooting modes extensively and after years of frustration with the Canon 20D, 40D, 50D and 7D having to peer through a tiny window in the top of the housing to determine which mode I was in, the7DMkII saves the day by clearly displaying what custom mode you are using on the rear LCD display. Image Review – All my four of my previous Canon dSLRs had the same controls for image review but the control setup for image review on the 7D MkII is very different. I found this a frustrating at first but after I got used to it I found that I liked the new arrangement. 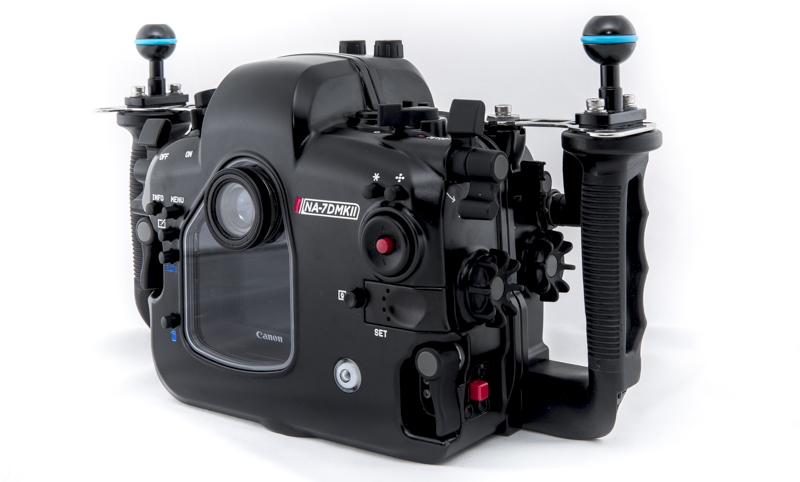 The excellent controls on the new Nauticam NA-7DMKII housing had a lot to do with this, but more on that later. Versatile – More AF focus points than the original 7D (65 vs 19), more options for AF focus points in use (7 vs 5) and there is a menu for optimising the AF performance for any situation with five pages of options, the original 7D does not have this. Fast and Accurate – In use I found the 7D MkII’s AF system to be very fast and accurate. It grabs hold and tracks focus of fast and/or erratically moving critters easily. On critters such as ribbon eels moving all over the place quickly and banded sea kraits moving towards me quickly I was able to get most of my shots in focus, previous experience with the original 7D was the opposite with the majority of shots out of focus. I also found that focussing when shooting macro and super macro near minimum focus distance to be much easier with the 7D MkII than the original 7D. Low Light Performance – Fortunately for me the low light focus performance of the 7D MkII is outstanding. My focus light failed right at the start of our trip and would only put a very weak beam of light and ambient light levels were low on most dives due to heavy cloud and rain. However, the low light performance of the 7D MkII’s AF system was so good that the overall impression I came away with after the trip was that “if there is enough light for me to see something, the 7D MkII will be able to focus on it”. On one very dark dive site under a fleet of fishing boats tied together called The Twilight Zone there were some mandarin fish. All the other photographers were unable to get any decent in focus shots of them because it was too dark for their cameras to focus and when they turned their focus lights on the mandarin fish disappeared. I was able to reel off a series in focus shots with the 7D MkII just using the available ambient light. All other things being equal (and they aren’t, the 7D MkII is a much better camera all around than the original 7D) it is worth upgrading to the 7D MkII just for the new AF system. Since I started using my original 7D nearly five years ago I have watched with interest the improvements made in each new housing released by Nauticam since then. I’m happy to say that it appears that all these improvements and more have been incorporated into the new NA-7DMKII housing. Impressed as I was with the original NA-7D when I received it back in 2010 it had some shortcomings. I’m happy to report that apart from a couple of very minor quibbles the new NA-7DMKII housing is an exceptionally good housing with no real shortcomings. The design, quality of manufacture and the finish of the NA-7DMKII is excellent. Hollow control rods inside the housing have been drilled to remove metal to reduce weight. The only two exceptions to this are the White Balance/Metering Pattern and AF Drive buttons. This is not a problem for me as I have rarely if ever used these buttons on the original NA-7D and the new NA-7DMKII housings. These functions are much more easily done without having to remove your hands from the handles by using the “Q” (Quick Control) button and Multicontroller. 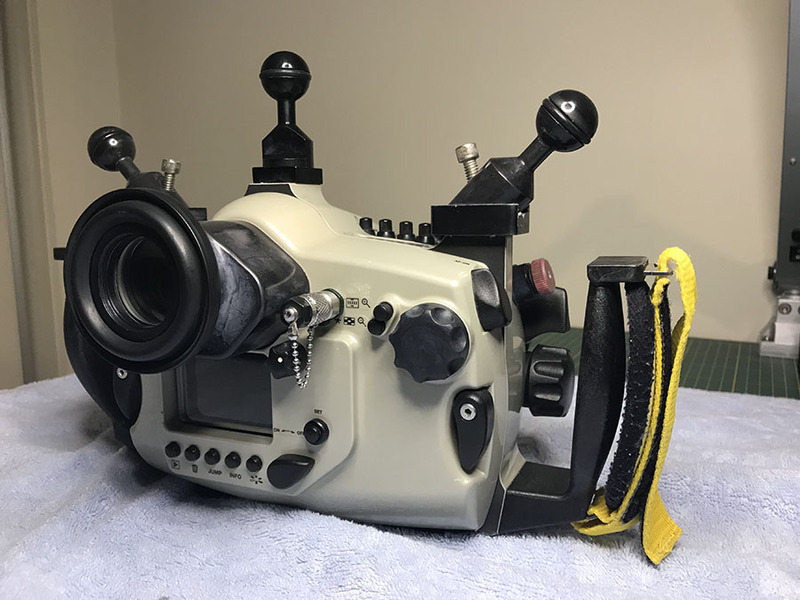 I’m more than happy to say goodbye to the three fiddly suitcase type latches on the original NA-7D housing (I believe this was the last Nauticam housing to use them). The new NA-7DMKII uses two very easily operated latches similar to what is used on Subal housings, I like them a lot. Cursing after putting my rig together and realising that I didn’t raise the camera’s internal flash having to put the camera into Auto mode to raise the flash and then returning it to manual mode. Having to dive deep into the camera’s menu to disable the flash so I can shoot at faster shutter speeds faster than 1/250 for ambient light only shots and then having to go back into the menu when I want to enable the internal flash again. The NA-7DMKII has one button on the left side of the housing to raise the flash. Once the flash is raised, another press of this button takes you straight into the flash control menu so you can easily change the flash from manual to ETTL, change from first to second curtain sync, change manual flash power, etc, etc. There is a second control on the top of the housing next to the on/off switch which lowers the flash and disables it to enable shooting at shutter speeds faster than 1/250. Shutter Release – Although the shutter release on the original NA-7D housing was very good the same control on the NA-7DMKII is much better. Instead of being a direct lever onto the camera’s shutter button it is now put through a series of gears which reduces the travel of the internal lever contacting the camera’s shutter button in relation to the exterior lever. As a result the shutter release has much more feel and it is much easier to hold a half press when focussing and recomposing. Zoom/Manual Focus Control – A large control with large lobes and a rubberised finished that is very easy to turn. It has a lever that moves it in and out of contact with the gear on the lens in use. This has a couple of benefits compared to the original NA-7D housing. Loading the camera with a lens fitted with a zoom/focus gear is much easier. With the gear on the control moved out of contact range it very easy to push the camera into position in the housing. On my old NA-7D housing this wasn’t possible as the gear was fixed and you had to jiggle the zoom/focus control to get the gears on the housing and lens to mesh properly as you pushed the camera in. The other big improvement with this arrangement is that the gear on this control is now spring loaded and when engaged with the gear on the lens imparts some sideways force onto the zoom/focus gear on the lens. This appears to improve the grip between the zoom/focus gear and the lens and feel of zooming or manually focussing is very much more positive in the NA-7DMKII than with the same lens and gear in the original NA-7D. Mode Control Dial – Located on the left hand side and can be accessed and operated using your left hand thumb and forefinger without having to remove your hands from the handles. In their wisdom Canon decided to add a button to this control on the 7D MkII that has to be pushed in to turn it. 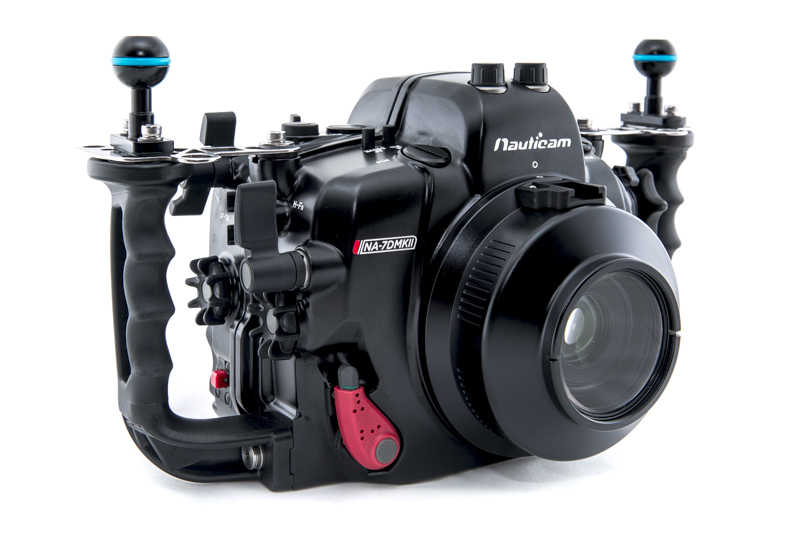 Nauticam have added a spring loaded lever inside the NA-7DMKII housing that automatically keeps the button depressed at all times. When putting the camera into the housing sometimes this lever can also turn the dial as it engages with the button and the mode is changed from what was set, it is prudent to check what mode the camera is set to after assembling your rig. I don’t see this as a fault with the NA-7DMKII housing, if Canon hadn’t added the button to the dial (it was not on any of my previous Canon dSLRs) it wouldn’t be a problem. All are easily accessed and operated using your left hand thumb. All are easily accessed and operated using your right hand thumb. The Multicontroller is also located on the top right side of the back and is very easy to reach and operate with your left hand thumb. It is a huge improvement over the equivalent control on the original NA-7D which was located in the middle of the housing and couldn’t easily be reached without taking off your hand off the handle. It was partially blocked by the 180° magnifying viewfinder and the up button couldn’t be used. The Multicontroller on the NA-7DMKII is a dream to use in addition to moving up/down and left/right you can also control movement diagonally, makes moving your focus points around very easy. It also has a central button which returns whatever you are adjusting to the central position (great for returning you focus point back to the middle). What didn’t I like about the NA-7DMKII? Not much, I have only a couple of very minor quibbles. Apart from the problem with the mode dial moving when putting the camera in the housing I mentioned above the only other issue I have is to do with changing out the CF memory card with the camera in the housing. On the original NA-7D housing the CF card could be easily changes without having to remove the camera from the housing. Because the NA-7DMKII has two memory card slots the CF card is now moved a few millimetres forward in the camera body to make room for the SD card. While the SD card is easily removed from the camera in the housing the CF card cannot be removed unless camera is unlocked and slid back a couple of millimetres. From reading a lot of reviews of the Canon 7D MkII it appears that it is aimed at a particular market niche, wildlife and sports photography. As such it may not be everyone’s cup of tea for general photography and video. For what I do with it, underwater still photography, it is an excellent camera mainly due to its auto focus system. I am very happy with it. 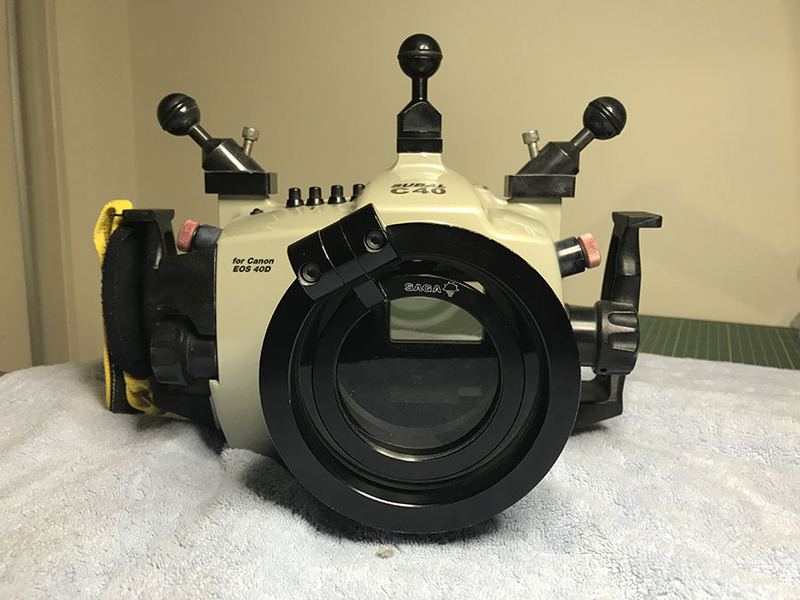 I’ve been using housed film and digital SLRs since 1984 and have used seven different housings (Canon Marine Capsule, 4 x Subal, 1 x Aquatica and 1 x Nauticam) before purchasing the Nauticam NA-7DMKII. It is without a doubt the best housing I’ve owned. Exceptionally well made and designed. The ergonomics are superb and it is a dream to use underwater. A very special thanks to the Nauticam distributor in Australia, Peter Mooney from Scubapix. He moved heaven and earth to get the Nauticam NA-7DMKII to me after it was released to in time for me to take it on my trip to Ambon. It only made into my hands with a few hours to spare before I left on the trip. I've just got back from a trip to Ambon, Indonesia and used the 7D Mk II in a Nauticam housing for 30 dives during the trip. Having used the original 7D in a Nauticam housing for nearly 5 years the most notable improvement with the 7D Mk II is the autofocus, it is very fast, accurate and performs well in low light conditions that would have required a focus light with the original 7D. 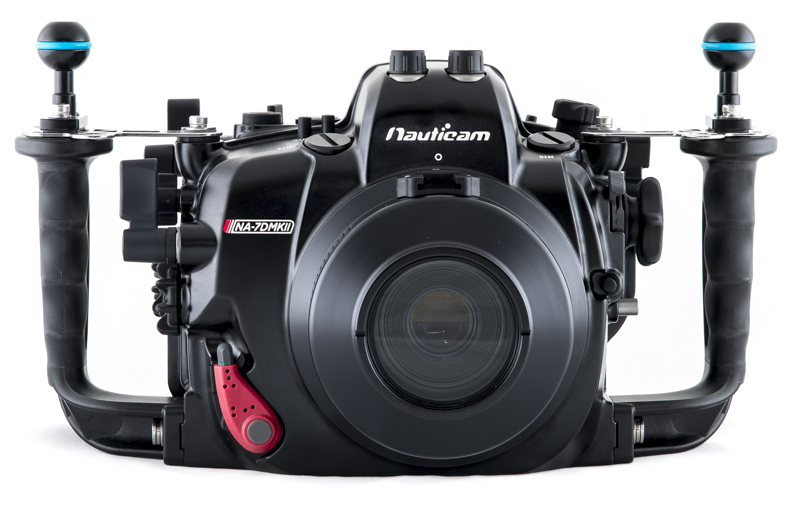 The Nauticam 7D Mk II housing is also excellent, by far the best housing I have ever used (it is the 8th housing I've owned). I am preparing a full review of both and will be posting it on Wetpixel in the near future.